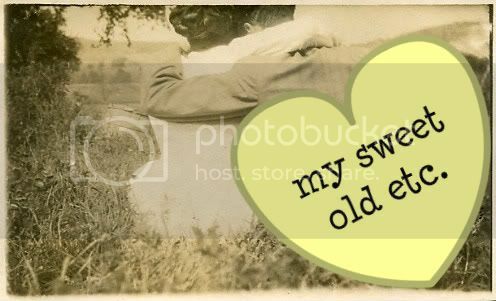 my sweet old etcetera: I resolve to be a better me. Okay, I know what you're thinking. Resolutions are sooo last year. But that's the funny thing about resolutions -- we make 'em, forget about 'em, and when the new year is around the corner again, all of a sudden we're eager to make new ones. This year, though, I decided to give my resolutions a different spin, if you will. Instead of making promises I know I'm going to break, I am going to try to make resolutions that I will actually enjoy accomplishing. In other words, I resolve to be a better, happier me. And what better way to be a better person than to enjoy the process? Instead of making the same resolution I know I will always break (i.e., work out! ), I resolve instead to encourage healthier habits in my life. This means no more late nights Facebooking, getting plenty of sleep, drinking more water, and eating more organic foods. If I happen to join a gym or start running again, great. But I won't beat myself up if I don't do it either. 3. stop taking my friends/family for granted! 2010 taught me a tough lesson -- don't take your loved ones for granted, because they're not going to be around forever. From now on, I resolve to enjoy every single second I have with my friends/family. I will say I love you more often and hug a whole lot more. 4. budget my time more wisely! I resolve to stop procrastinating so much, especially when it comes to work. Too many Sundays I've burned the midnight oil trying to get those last minute grades in. Enough. I resolve to budget my time more wisely so that I can enjoy my weekends as God intended. I'm more of a listener than a talker, more of an observer than a doer. It's time I flipped the tables a bit. Time I started talking more and doing more. I think this will make me more confident in the long run, even if I ruffle some feathers along the way (including my own). 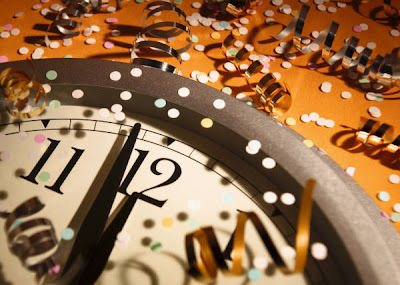 What are your resolutions for 2011? Here are last year's resolutions. P.S.) This post was written in advance. Right now I'm busy kissing my boyf and swigging some champagne and/or grapes in honor of the new year. So leave a message at the sound of the tone. BEEP! Excellent resolutions. I especially identify with the time-budgeting one. It's ridiculous how last minute my lesson planning gets . . . and it makes me feel stressed and like a less effective teacher. I really want to be better about that this year--here's to a valiant effort!